Another series Capcom pretends doesn’t exist. 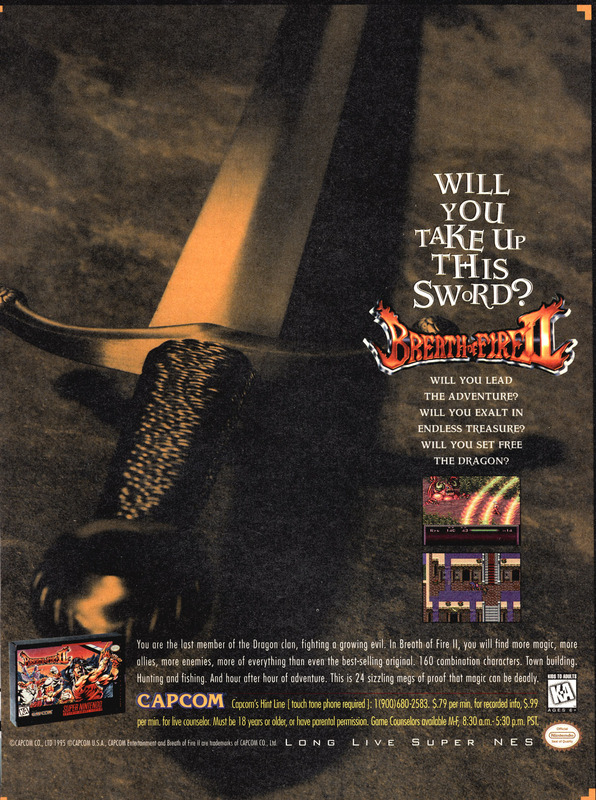 Set five hundred years after the first game, Breath of Fire II puts you in the shoes of Ryu, a 16 year old boy who finds himself alone in the world after demons kidnap his father and sister, and erase the memories of the local townsfolk. Of course, he turns out to be part dragon or something and sets off to save the world with a bunch of stereotypical J-RPG friends.